So many announcements this month, what with the ever-growing New York Comic Con, but this one caught my eye because of how little information it had and how unexpected (but sensible) it was. Dynamite Entertainment, home of comics starring James Bond, Betty Boop, Xena, Tarzan, and characters from Battlestar Galactica, Bob’s Burgers, and Grimm, among many other properties, has announced a bunch of new licensed titles coming next year. Among them is one aimed away from the traditionally male comic-shop market. In 2017, it’s going to be a comic from Dynamite. No word on who’s writing or drawing, but just getting the rights to the brand name is enough to qualify as news. After all, this comes with a large potential audience, now nostalgic for the works they loved as kids, and we already know they’re readers. That’s why these “all-new adventures” will be original graphic novels, not serialized comics, because books are more suitable to their market. The publisher hopes to capture teen readers with the effort, and a familiar brand name is reassuring to parents. The Baby-Sitters Club, a similar but younger-aimed property, has been a huge hit with just four comic adaptations. I’ll be interested to see how well Dynamite captures adolescent romance and soap opera. A lot will depend, of course, on who works on the book. 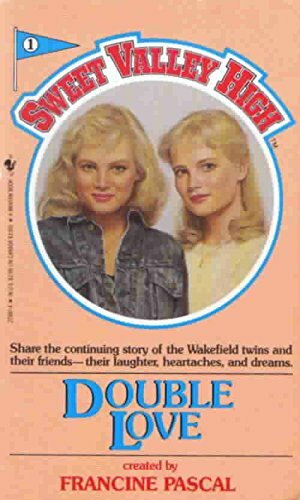 Snarky comment: Since a lot of commercially focused comic artists draw women to look alike anyway, having someone illustrate twins is making a virtue out of necessity!